For anyone wanting to learn the basic 6-beat Lindy Hop Rhythm and some 8-beat Charleston moves. 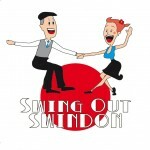 Suitable for anyone wanting to learn partner dancing. The class is 1.1/2 hours long which includes 15-30 minutes for dance practice.